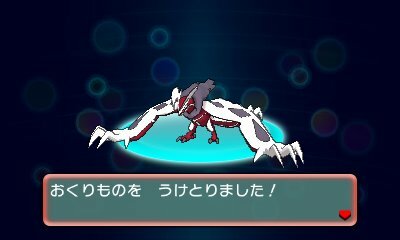 As a concept introduced within the Pokémon Global Link in Pokémon Black & White, Omega Ruby & Alpha Sapphire continues the a new method of getting events, the serial code. Here, you get given a unique serial code within certain events or releases. When you enter the Serial Code, you're connected to the Internet to download the event. The serial code will then no longer work. If you buy Pokémon Omega Ruby or Alpha Sapphire on the Nintendo 3DS eShop in Japan, you will discover a special serial code for 10 Quick Balls. This is only for people who purchase the game on the eShop in the first week.. In Japan, you had the capability of pre-ordering a special Double Pack. 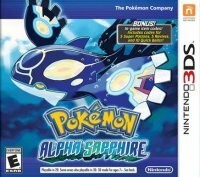 This Double Pack provided both Omega Ruby & Alpha Sapphire, as well as the special pre-order figures. However, with each of the two games, you will receive a serial code that provides a download of 100 Potions. With the Double Pack, this means you get two codes, one for each game. In North America, a similar pack was sold in Best Buy and Amazon stores exclusively. 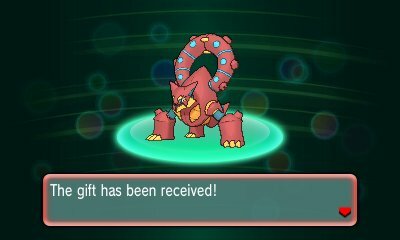 Like the Japanese one, this contained two codes for 100 Potions each. 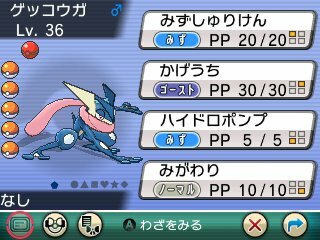 If you buy both Super Smash Bros. for Nintendo 3DS and Pokémon Omega Ruby or Alpha Sapphire, and register them on Club Nintendo, you will receive a special Level 36 Greninja based upon the Greninja that was used in Super Smash Bros. for Nintendo 3DS and Super Smash Bros. for Wii U. The Eon Ticket makes a return in this game and will receive a distribution through Serial Code in Japan at a later date. This Ticket will give you access to Southern Island through the boat in Slateport City. 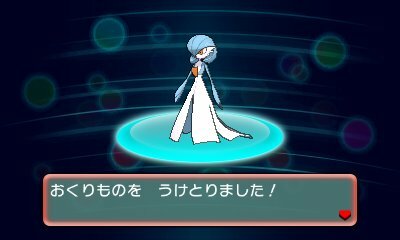 On this island, you will encounter Latias in Pokémon Ruby and Latios in Pokémon Sapphire. Internationally, the Eon Ticket is given to various Play! 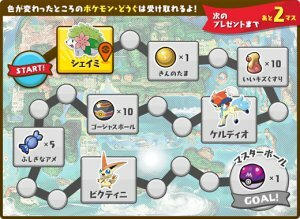 Pokémon organisers for StreetPassing. 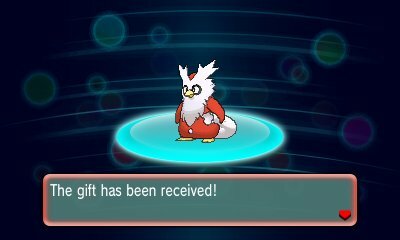 It was later given over a weekend using the shared serial code of 2015LATIOSLATIAS in North America and POKEMON380381 in Europe. 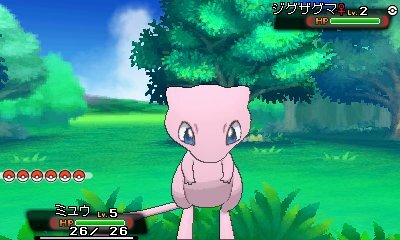 In Japan, a special promotion occured in November 2014 that led into December 2014. When you bought a pack of special wristbands, the proceeds of which go to helping children in Fukushima to have a good Christmas, you would get a serial code to gain access to a special Shiny Jirachi. If you buy the Pokémon Omega Ruby & Alpha Sapphire Complete National Pokédex Guide in Japan, you will find that this guide comes with a unique Serial Code. This code provides a gift of 2 Master Balls. 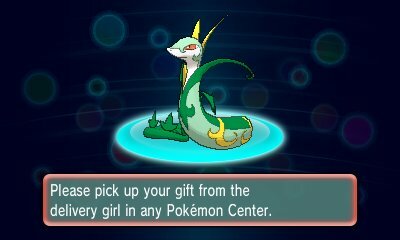 If you buy the Pokémon Omega Ruby or Alpha Sapphire from WalMart in North America, some copies with the special label on it will come with a code to receive 5 Super Potions, 5 Revives, and 10 Quick Balls.
. On December 28th, a code for Serperior with Contrary will be given on Pokémon Get☆TV and can be redeemed from January 9th to November 30th. 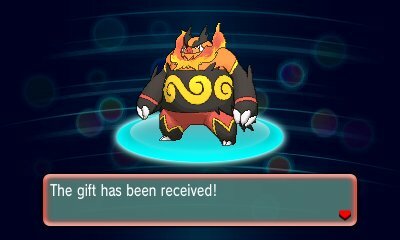 On January 11th 2015, a Emboar with Reckless will also get a code from Pokémon Get☆TV, which can be redeemed from January 16th to November 30th and on January 15th 2015, the new issue of CoroCoro will have a serial code for Samurott with its Hidden Ability of Shell Armor and can be redeemed from January 16th to November 30th. These Serial Codes are said to be Shared Serial Codes, meaning that they may not be unique and can be used on multiple games. 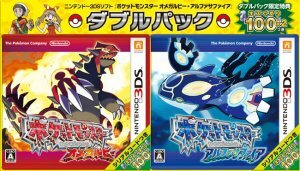 The codes are POKEMON497, POKEMON500 & POKEMON503 respectively. Following on from the change in Serena's appearance and the at the time upcoming evolution of Fennekin in the anime, a distribution of the Fennekin has been released on all games using a shared Serial Code revealed with the episode on February 26th 2015. 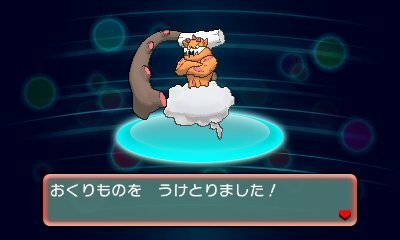 This code is SERENA01. This Fennekin also comes with a high Cute Contest stat. To tie in with the movie, The Archdjinni of the Rings - Hoopa, an Arceus is distributed to those who prebook the tickets. 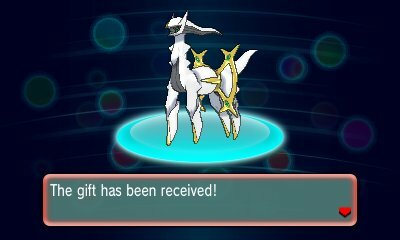 All players who pre-book tickets will get a serial code for use in Pokémon X, Y, Omega Ruby or Alpha Sapphire and this code downloads on of 18 different Arceus. 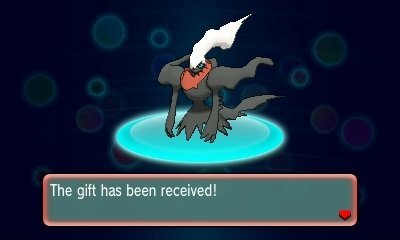 The Arceus comes holding either the Silk Scarf or any of the 17 type plates at random, chosen when you download the Pokémon. There is also a 19th variant which can be downloaded which is the same as the Silk Scarf one, except it is Shiny. To tie in with a special promotion for Pokémon this Spring, Gamestop in Germany and GAME in the UK are holding special serial code distributions to obtain a special shiny Charizard holding the Charizardite Y item. In Japan, after the success of the distribution at the World Hobby Fair, the shiny Rayquaza was given in various stores across Japan. 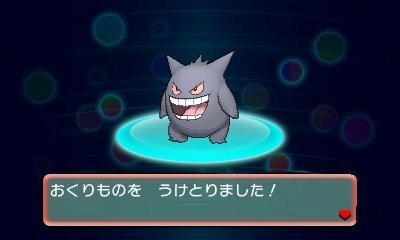 In the 7-11 stores, you could get a special serial code to download the Pokémon. To celebrate the Roaring Skies TCG set, Gamestop will be distribution a special Dragonite with its Hidden Ability and the rare move, Extreme Speed, via Serial Code. 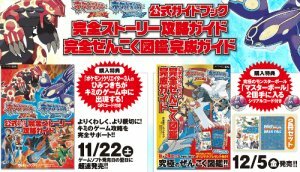 To coincide with the release of the movie, Hoopa & The Clash of Ages, 7-11 stores in Japan gave access to special serial codes for Pikachu and Pancham, based on Ash's Pikachu and Serena's Pancham respectively in July, and Latios & Lugia in August. These were then later given at Pokémon Centers in Japan. 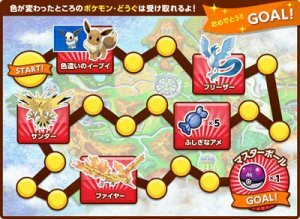 When the Pikachu Cup was announced, it was stated that if Pikachu came in the Top 3 most used Pokémon, that a special Pikachu would be distributed. This Pikachu will have the special move Endeavor, which it can't normally learn. If you particpated in the Spooky Cup Battle Competition, you became eligible to receive 10 Rare Candy as a gift. 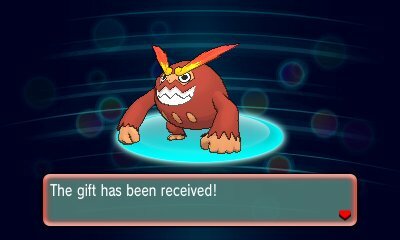 To celebrate the Year of the Monkey, a code for a special Infernape was distributed to players with PAL or Japanese games. In Japan, to celebrate the opening of the Pokémon Center Online, people would receive a code with their first order for a special Pikachu that knows both Fly and Surf. For the Shiny Eevee distribution, you only need one code. 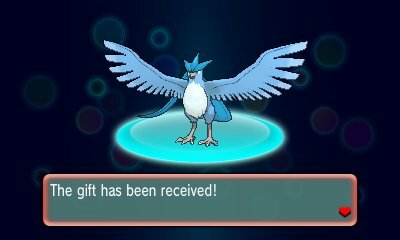 For the Articuno with its Hidden Ability, you need to redeem 4 codes. 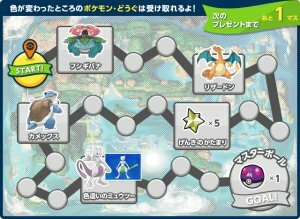 To get 5 Rare Candies, you need to redeem 8 codes. 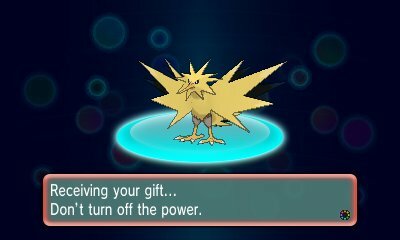 To redeem the Zapdos with its Hidden Ability, you need 12 codes. 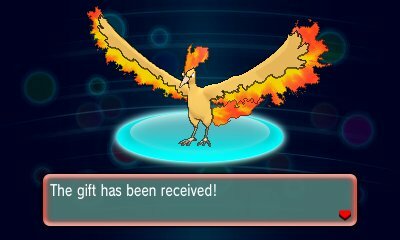 To redeem Moltres with its Hidden Ability, you need 16 codes and finally if you redeem 20 codes you will get a Master Ball. 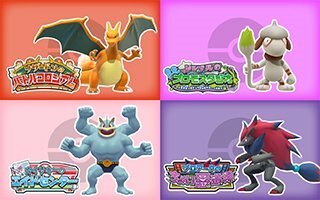 In Japan, to help people who were affected by the Sendai earthquakes of five years ago, a Pokémon with You campaign is running where donations are given to aid people who were affected by it. 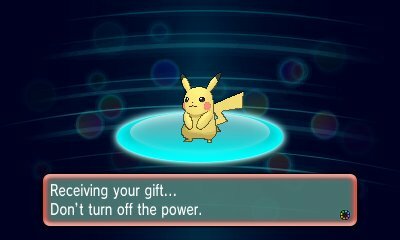 If you donate some money at the Pokémon With You campaign between March 11th and 31st, you will be given a Serial Code to get a special Pikachu which knows the move Bestow, a move it can't normally know. 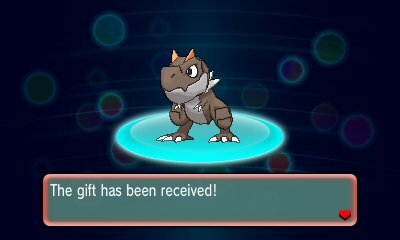 If you participated in the Kanto Classic Battle Competition, you were eligible to receive a special Dragonite based on Lance's Dragonite from Pokémon Red, Green & Blue. 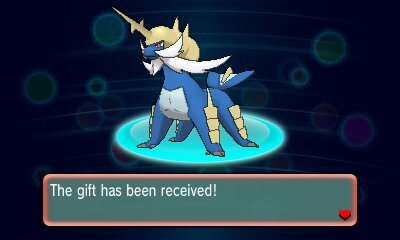 This Dragonite is unique in that it has the special move, Barrier, a move Lance's Dragonite had in those games but no Dragonite has been able to know. 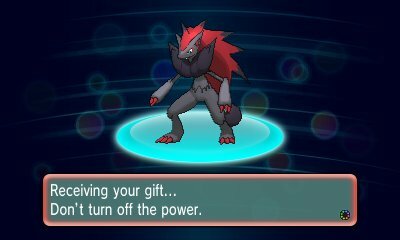 It has guaranteed maximum IVs in HP, Defense, Special Attack and Special Defense while everything else is random. If you participated in the Johto Classic Battle Competition, you were eligible to receive a special Miltank based on Whitney's Miltank from Pokémon Gold & Silver. If they played in a Play! Pokémon event in the 2016 season, a special codes for Shiny Mewtwo was sent via e-mail to all players opted into rankings. This Mewtwo is unique in that it is shiny and has its Hidden Ability of Unnerve. 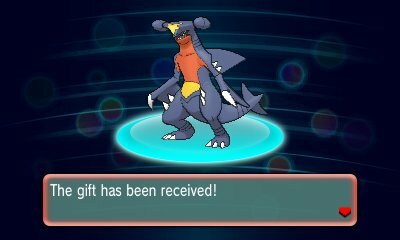 If you participated in the Sinnoh Classic Battle Competition, you were eligible to receive a special Garchomp based on Cynthia's Garchomp from Pokémon Diamond & Pearl.